To commemorate The Bison Turf’s grand re-opening, we had their resident mixologist Lindsey Siverson make us her specialty. It seems like just yesterday we thought we said our final goodbye to The Bison Turf. The popular NDSU student bar burnt down in the summer of 2016 and left behind questions of if it would be rebuilt. While owner Pete Sabo immediately said he would bring The Turf back, progress was stunted. After multiple “openings” that never occurred, the landmark bar has finally made its return to the community, opening in May. To commemorate its grand re-opening, we had their resident mixologist Lindsey Siverson make us her specialty. What has it been like around here since The Turf made its long-awaited return? It feels good to be back and it’s so nice to see everybody. Old regulars and a lot of people have made it a point to come in and say hi. It’s like old friends coming back together, you know. The Turf was kind of like a family before the fire. It does have a different feel to it, but over time I think it will get back to normal. I’m sure you have regulars from the past and students who had never came to the old Turf. What kind of crowd is the new Turf bringing in? There have been lots of new faces. When you think about it, there were two rounds of kids that turned 21 when we weren’t here. Kids want to come in and see what the fuss of The Turf is all about. Disregarding mug night (and beer as a whole), what has been the most popular drink on the menu so far? The Blue Bomber has definitely been a big seller. They were a huge seller before, but I have definitely noticed a rise in their sales. It has UV Blue, lemon rum, gin, Triple sec sour and then it’s topped with liquid ice so it’s kind of like a fruitier Long Island. They’re potent and I think some of the old students that were here pre-fire maybe talked about them. So now the new kids that come in want to have those. The first week we were open we sold a ton of them. Now, you have made us a Patio Pleaser today. How would you say this drink describes your personality? A little sweet and a little sour. A little sassy too. It’s a happy drink and a very refreshing one. 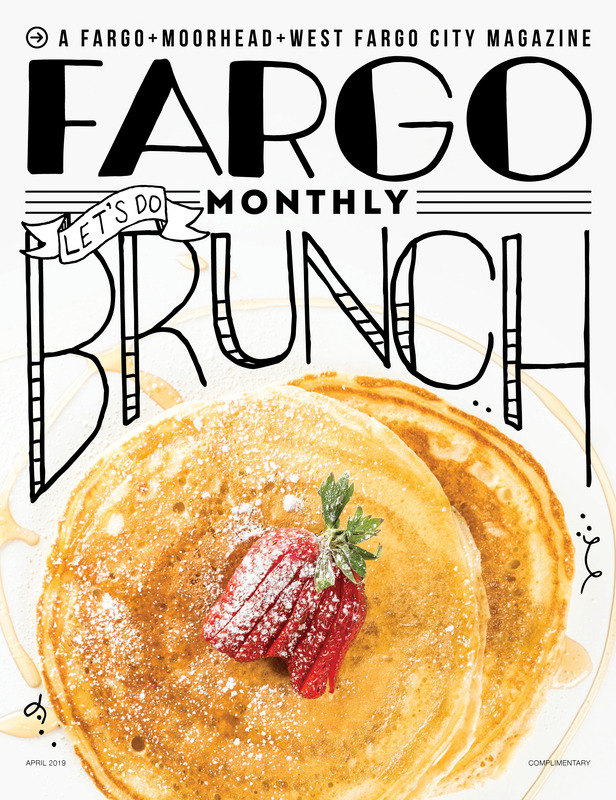 Nolan is the Editor of Fargo Monthly. He is originally from Bismarck, ND and is a graduate of Minnesota State University Moorhead. Outside of Fargo Monthly, Nolan loves to write fiction short stories, among other things.